Yes, quite a few of you recognised the chunky, pale legs of Dirk Kuyt. Nice spot. Messi, you forgot to cover the 19 on his shorts. 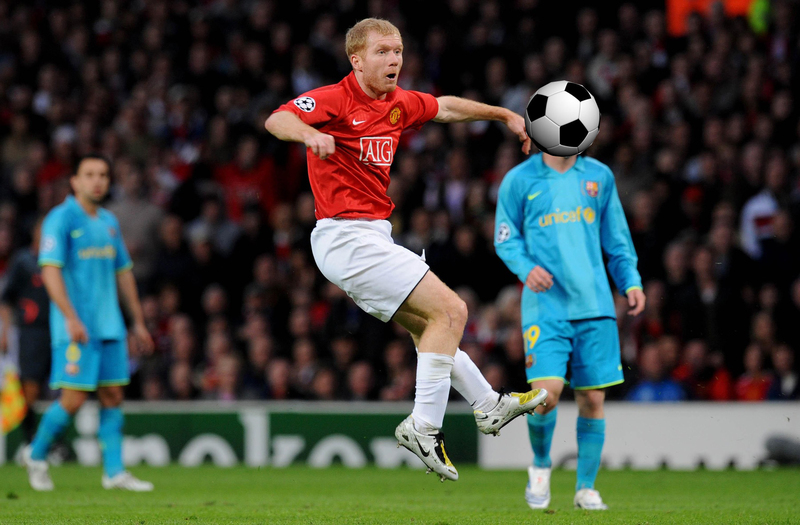 2007-2008 semifinal leg 2, and at that moment scholes is probably watching the qualifier hiting the net. Messi, he has a unique body language on or off the ball. Messi, it was his number before ronaldinho left.